Walter Cronkite didn’t quite get it right back in 1967 when he gave his television viewers a glimpse of a home office of the 21st Century, but he was onto something. Everything would be connected. In our world today, Alexa can turn on and off lights, adjust the thermostat, lock your doors or activate your home security system, and even tell the refrigerator to make you a cup of coffee. Digital assistants like Alexa, Apple’s Siri, and Google Assistant are helping us move way beyond Walter Cronkite’s predictions. There’s something we can count on, though. For each device Alexa now controls, there are hundreds of other devices in our homes that could join it. They have a single shared characteristic. They can be designed to connect to the internet. The interconnection of everyday objects – like your toaster oven – to the Internet, allowing them to send and receive data, is known as the Internet of Things. Forbes Magazine writes that all these devices talking and sharing information will improve how we work and live. Global research firm Gartner predicts there will be 20.4 billion IoT devices in use by 2020. The amount of data these devices will generate and share is projected to exceed 800 zettabytes (that’s 800 trillion gigabytes). These devices are being activated and connected to the Internet at the rate of 127 per second. That’s a lot of data. But not all of the IoT devices coming to your home and office will need a Wi-Fi connection. This article explains how and why IoT devices will connect with the Internet in different ways. Vehicles may use cellular communication, and it’s estimated that 80.3 million cars worldwide will be connected to the Internet by 2020. When it comes to the devices that will join Alexa and other digital assistants in your home, the preferred connection will be Wi-Fi. 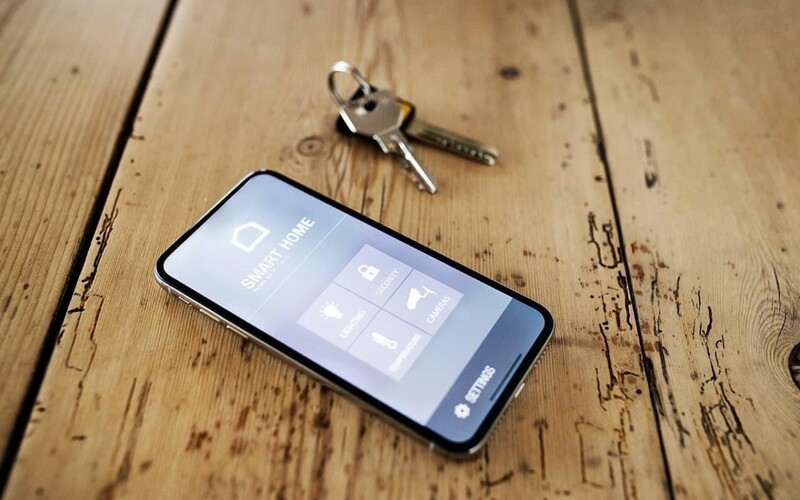 A recent study by the research company HIS Markit determined that the average household in North America already has 14.7 connected devices. The largest consumer of data in your home probably comes as no surprise. It’s video, which is forecast to be 80% of bandwidth by 2020. Binging on a season of your favorite Netflix show in HD can consume about 40 gigabytes. Your new smart doorbell with the Wi-Fi video camera can use up to 300 gigabytes a month. Alexa might end up controlling many of the IoT devices that make their way into your home, but you won’t be able to blame her for eating lots of data. The users of Quora voted this response as the best answer to how much data Alexa uses on an average each day – which comes to only about a single gigabyte, and that’s if you were to stream 10 hours of music. You’ll have to feed all those IoT devices the bandwidth they crave, and for now most of them are only taking small sips. But watch out for that doorbell. It’s not just the amount of data your devices need – the speed in which it’s delivered matters, too. Learn more about how you can get your home ready for the Internet of Things with Gigabit Fast Fiber Internet. Use the Internet speed calculator to see if you have what your devices need today.